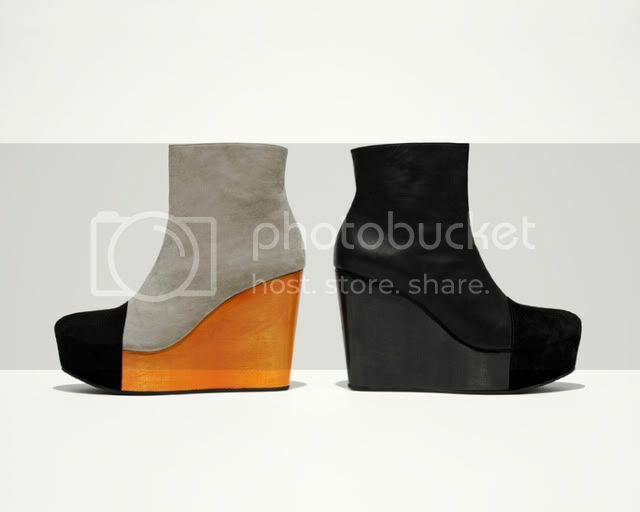 WEDGES MARCH INTO SPRING: CHECK OUT THESE BOOTS & SANDALS FROM MINIMARKETS 2010 S/S COLLECTION! Who am I kidding? Christmas maybe over, but that doesn't mean that the sun will be shining and my life will be tank tops and sandals. It's been exciting seeing the latest Spring/Summer campaigns inundating the internet, but it's also been a little torturous. Thank goodness for MiniMarket's Spring 2010 collection, it not only fulfills my closet resolution, but it also satisfies my shoe loving heart. Seattle really doesn't start to warm until the end of may, so arguably we get the most use out of our boots. 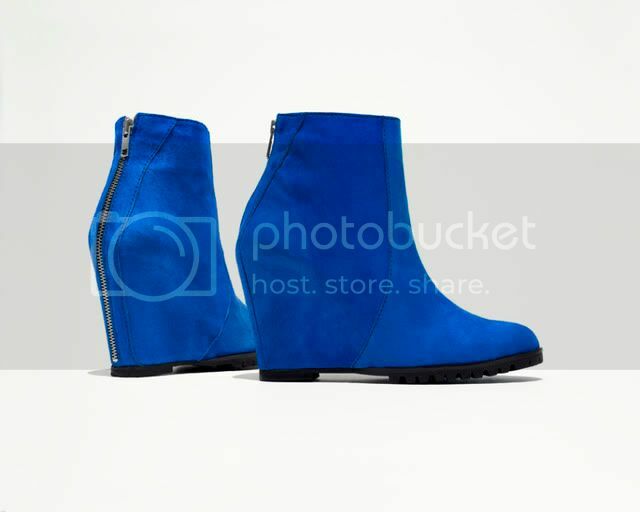 That's why I was excited to see these bright blue zipped boots, the capped wedges and of course these lace up beige ones in MiniMarkets Spring 2010 collection. They make me pause before I automatically reach for a classic black boot. 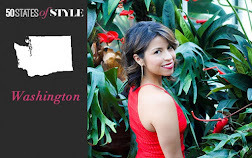 Of course it is their Spring/Summer Collection and those of you who are lucky enough to enjoy the sun a little sooner and longer than this Seattlelite, will be happy to find that MiniMarket also has these amazing red and black&white striped wedged sandals. I seriously need to add more wedges to my shoe collection! And I was just thinking this morning that I really needed to stop buying shoes and save for other things I want in life (like traveling). then I see those gorgeous blue booties. I like the laceups the best! 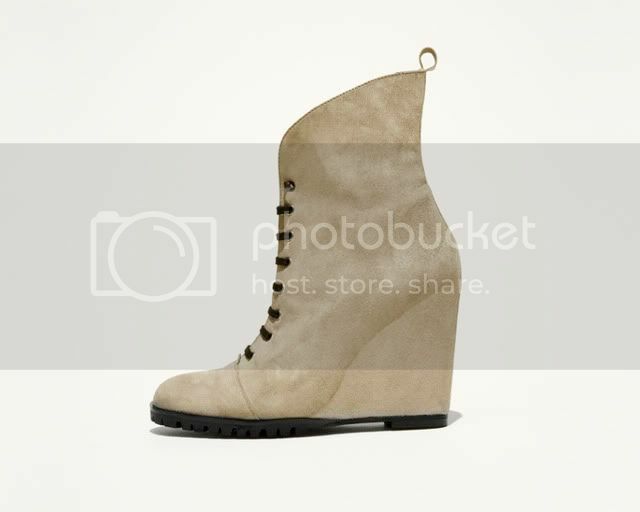 Those beige lace-up wedges are just lovely... I could think of a million ways to wear those! good lord, those blue ones are INCREDIBLE! Ashe - Temptation is always in front of you right? But these blue booties may just be worth a step back. Le 21 - Its hard for me to choose, I love them all. Jeni - They are very versatile. It would be hard not to wear them everyday! LaurieBot - I think the blue ones are my favorite, they're total eye magnets! OMG, I love these. I may need to get the blue pair. Amazingness! Love them all but especially the blue!